For seventy Shavua cut off are the people from the holy city, to finish the transgression, and to make an end of sins, and to make reconciliation for iniquity, and to bring in everlasting righteousness, and to seal up the vision and prophecy, and to anoint the Holy of Holies. Let’s begin with the preface that prophecy is an unfolding manifold, like the layers of an onion, where each layer holds true, but holds true at a different level. For instance, the term used in this passage (as found in the original Hebrew) is shavua. This is a form of the word sheva, which means seven. Because this word appears by its lonesome, it does not say seven hours, or seven days, or seven months, or seven years, or seven decades, or seven jubilees, or seven centuries, or seven millennia. It just infers some special grouping of seven. Most commentators in the English translations declare this word shavua to mean a week, i.e., seven days, but the implication in the Hebrew is far greater. For, if it means in a singular application only weeks, then let us conclude that the prophecy is discussing 490 days – and that concludes the entirety of its application: one year (365 day calendar) plus 125 days (roughly four months). There is no record which supports this dating of any sort. For instance, the Babylonian captivity of the house of Yahudah is reported to have lasted for seventy years, not seventy weeks. Are seventy years, then, a likely interpretation of the word shavua? Maybe. It certainly is applicable as the house of Yahudah was cut off from being in the city of Yerushalayim for seventy years. Many other commentators, however, have viewed this as meaning 490 years, multiplying seventy times seven, and applying two formulas to reach this conclusion. First, we have the concept that a day is equal to a year as described in Bemidbar (Numbers) 14:34 and Yekhezq’el (Ezekiel) 4:6. Forty days are converted to a forty-year stint in the wilderness for the house of Yisra’el; and Yekhezq’el lying on his side 390 days for Yisra’el and 40 days for the house of Yahudah with each day appointed for a year. 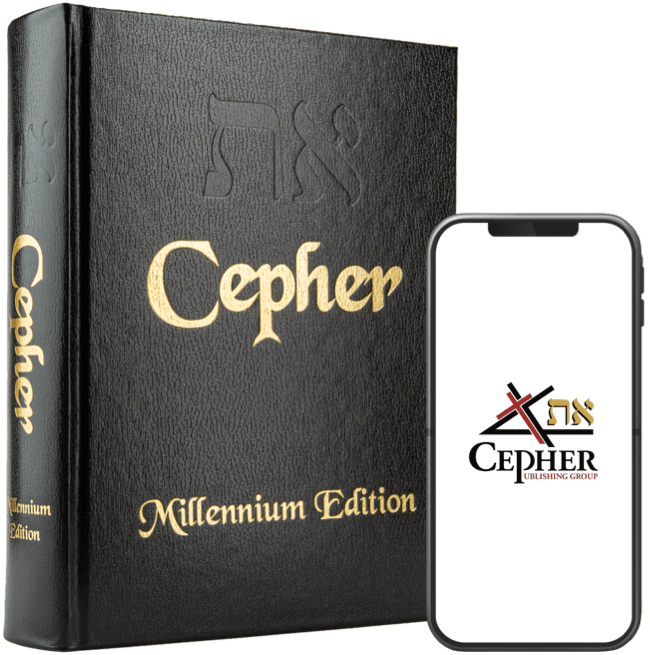 Besides these two witnesses, the Cepher Yovheliym (Jubilees) also references the idea of a week of years in most of its references to the word weeks (sheva). A jubilee is the 50th year following seven weeks of years (49 years). So if the concept in Daniye’l 9:24 is for seventy weeks of years, we reach the same conclusion that the passage refers to 490 years. The principle of a day for a year is one that can be understood as a multiple revealing of the same prophecy: one at a micro level, a micro-fractal if you will (understood as an actual day), and one at a larger fractal (a day equals a year), and even again at a macro-fractal (where the year equals a jubilee year). So, the issue of 490 years has been debated since this prophecy was written. In fact, the Seder Olam sets forth the tenets of the modern Jewish calendar, resting on the conclusion that the destruction of the first temple (585 B.C.) and the destruction of the second temple (70 A.D.) were 490 years apart, when 655 years is the actual number. Where, then, is the realization of this prophecy? Point to the 490 years if you will. Consider, however, the concept, where shavua does not mean weeks, but means the festival of weeks. In the singular, shavua; in the plural Shavu’oth. Shavu’oth is a micro-fractal (expressed in days) of the larger macro-fractal, which is the Jubilee (expressed in years). The feast of Shavu’oth is calculated based on seven weeks from the regular Sabbath within the feast of Matsah, plus one day. Therefore Shavu’oth is celebrated fifty days following this Sabbath. The schema is 7+7+7+7+7+7+7=49+1=50. Seven sevens if you will, plus one. Hence, the feast is known as the feast of sevens. Now, in discussing the jubilee year, the word used is fifty, not forty-nine. Then shall you cause the shofarֺ of the yovhel to sound on the tenth day of the seventh month, in the day of atonement shall ye make the shofar sound throughout all your land. 10 And ye shall hallow the fiftieth (chamishiym [fiftieth] shanah) year, and proclaim liberty throughout all the land unto all the inhabitants thereof: it shall be a yovhel unto you; and ye shall return every man unto his possession, and ye shall return every man unto his family. We can readily deduce that the Jubilee (Yovheliym) regimen is identical to the feast of Shavu’oth, except that it deals in years, not days. For seventy jubilees cut off are the people from the holy city . . . This macro concept might then easily refer to that period of time from when the whole of the house of Yisra’el (Yasharon) crossed over the river Yarden on the first day of the 50th jubilee, until the time that they are no longer cut off from the Holy Yerushalayim (Chizayon [Revelation] 21) will be 70 jubilees, or 3,500 years. Under such a conclusion, man’s days outside the direct commune of YAH would be 120 jubilee years. However, the micro-fractal is applicable as well. If the term shavua means the singular form of the feast of Shavu’oth, then we are discussing 70 consecutive years here, where the year equals a year, each year celebrating this feast of sevens. Once again, this prophecy rings true in its first application – that the house of Yahudah was removed from their holy city Yerushalayim for exactly 70 years. And it may have a second application, given the return of the house of Yahudah to the Adamah Qodesh (Holy Land) in these latter years. And that really is what we are discussing here … does Daniye’l 9:24 have a modern application that establishes a timeline? Let us consider the beginning of the modern nation of Israel, a nation founded upon the edict of the United Nations and imposed by majority (not unanimous) rule. No Muslim nation supported the proposition. The United Nations is of some interest here, seeing how they saw fit to celebrate their seventieth anniversary with aplomb. However, on November 29, 1947, the United Nations adopted Resolution S-181, which established a nation for the Yahudiym, and which set forth the edict to go and rebuild Yerushalayim (albeit, as an international city under international controls). The nation of Israel was subsequently established by declaration on May 14, 1948, which, not coincidently, was on the very day of the feast of sevens – Shavu’oth. If we count seventy Shavua from this date, we will arrive at the year 2017. If we count it inclusively, we will arrive at the year 2016. So, what then is predicted to occur at the conclusion of these seventy Shavu’oth? The transgression is finished, sin is ended, reconciliation is made for iniquity, everlasting righteousness is brought in, vision and prophecy are sealed up, and the Holy of Holies is anointed. Make of it as you will. Let us then see if this previously seventy year timeline leads us to the return of MASHIACH, shall we? In the first instance, MASHIACH will return in threescore and two weeks of years, or 434 years (first advent). In the second instance, MASHIACH will return in seven weeks of years, or 49 years (second advent). Let us begin with the first calculation of Newton. Is there historic support for the 434 years? The edict of Koresh (Cyrus the Great) to rebuild Yerushalayim was given in the first year of his reign, which began in 559 B.C. In the first year of Koresh king of the Persians, that the Word of YAHUAH might be accomplished, that he had promised by the mouth of Yirmeyahu; 2 YAHUAH raised up the spirit of Koresh the king of the Persians, and he made proclamation through all his kingdom, and also by writing, 3 Saying, Thus says Koresh king of the Persians; YAHUAH of Yisra’el, EL ELYON YAHUAH, has made me king of the whole world, 4 And commanded me to build him an house at Yerushalayim in Yahudah. 5 If therefore there be any of you that are of his people, let YAHUAH, even his ADONAI, be with him, and let him go up to Yerushalayim that is in Yahudah, and build the house of YAHUAH of Yisra’el: for he is YAHUAH that dwells in Yerushalayim. However, even though this edict was reaffirmed by Artachshashta in the year 458 B.C., it was later revoked by the same king following the building of the wall sometime between 445 B.C. and 433 B.C. Then king Artachshashta his letters being read, Rechum, and Shimshay the scribe, and the rest that were in commission with them, removing in haste toward Yerushalayim with a troop of horsemen and a multitude of people in battle array, began to hinder the builders; and the building of the Temple in Yerushalayim ceased until the second year of the reign of Dar`yavesh king of the Persians. In the second year of Dar`yavesh the king, in the sixth month, in the first day of the month, came the Word of YAHUAH by Chaggay the prophet unto Zerubbavel the son of She’altiy’el, governor of Yahudah, and to El-Yahusha the son of Yahutsadaq, the high priest, saying, 2 Thus speaks YAHUAH TSEVA’OT, saying, This people say, The time is not come, the time that YAHUAH’S house should be built. 3 Then came the Word of YAHUAH by Chaggay the prophet, saying, 4 Is it time for you, O ye, to dwell in your cieled houses, and this house lie waste? 5 Now therefore thus says YAHUAH TSEVA’OT; Consider your ways. 6 Ye have sown much, and bring in little; ye eat, but ye have not enough; ye drink, but ye are not filled with drink; ye clothe you, but there is none warm; and he that earns wages earns wages to put it into a bag with holes. 7 Thus says YAHUAH TSEVA’OT; Consider your ways. 8 Go up to the mountain, and bring wood, and build the house; and I will take pleasure in it, and I will be glorified, says YAHUAH. Then Zerubbavel the son of She’altiy’el, and Yahusha the son of Yahutsadaq, the high priest, with all the remnant of the people, obeyed the voice of YAHUAH their ELOHIYM, and the words of Chaggay the prophet, as YAHUAH their ELOHIYM had sent him, and the people did fear before YAHUAH. 13 Then spoke Chaggay YAHUAH’S messenger in YAHUAH’S message unto the people, saying, I am with you, says YAHUAH. 14 And YAHUAH stirred up the spirit of Zerubbavel the son of She’altiy’el, governor of Yahudah, and the spirit of Yahusha the son of Yahutsadaq, the high priest, and the spirit of all the remnant of the people; and they came and did work in the house of YAHUAH TSEVA’OT, their ELOHIYM, 15 In the four and twentieth day of the sixth month, in the second year of Dar`yavesh the king. Therefore, on the 26th day of Elul, in the year 421 B.C. Zerubavvel goes up to the Levant to begin the rebuilding. However, that is not when the rebuilding began. Rather, it began on the 1st day of Ziv in the year 419 B.C. And in the second year and second month after his coming to the Temple of ELOHIYM at Yerushalayim began Zerubbavel the son of She’altiy’el, and Yahusha the son of Yahutsadaq, and their brethren, and the priests, and the Leviyiym, and all they that were come unto Yerushalayim out of the captivity: 57 And they laid the foundation of the house of ELOHIYM in the first day of the second month, in the second year after they were come to Yahudah and Yerushalayim. Now, the temple was finished on the 23rd day of Adar (the last month of the year) in the sixth year of Dar`yavesh the king. The practice of the feasts then began anew. And thus was the holy house finished in the three and twentieth day of the month Adar, in the sixth year of Dar`yavesh king of the Persians. This places the completion of the temple in 417 B.C., and the word to return and rebuild Yerushalayim goes forth to the Yahudiym, including the word to build the wide place.